UPDATE: Hurricane Matthew is barreling at us in South Florida and the East Coast. Check Matthew’s latest progress here. Prepare your home and air conditioner with these tips from your HVAC friends at Palm Air AC. Stay safe, friends! Homes in Boca Raton and other cities in Palm Beach and Broward counties need some form of HVAC to get through the sweltering dog days of summer. Have you heard that with just a few tips about how to use your thermostat correctly, you can save big on energy costs? 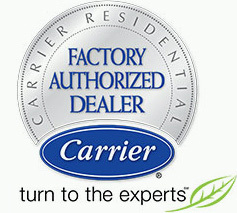 Living in Boca Raton, or elsewhere in South Florida, you must know that air conditioning is a must. Do you ever feel like your home or office is making you sick? Sick Building Syndrome (SBS) describes a situation in which the people who occupy a building experience acute health- or comfort-related effects that have been linked to the time spent in the building. Why Is Water Dripping From My AC Vent? Water leaks and damage in a home can be catastrophic, especially during a hot Broward county summer. Have you noticed water dripping from your air vents? Here in Boca Raton, Florida it can be hard to part ways with the air conditioning unit that has brought you so many cool, comfortable times. Dangerous side effects can afflict you and your family when the air ducts in your home are dirty. The ductwork in your home is responsible for transporting what should be fresh air, but when the inner workings are covered in dirt, dust and who knows what else, then that’s what will also fill your lungs. Have an upcoming HVAC appointment and wondering what would be some helpful questions to ask the company? 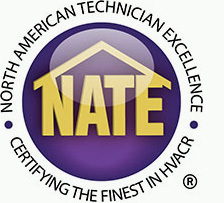 A qualified HVAC company is your ally in keeping your home’s heating, ventilation and air conditioning functioning properly.